For decades now, merely reading these majestic words sets me to singing (in my mind). Perhaps you know also Handel’s choral composition of this passage from his immortal Messiah. The familiar words have become forever entwined with the stately melody. What is the government on his shoulders? 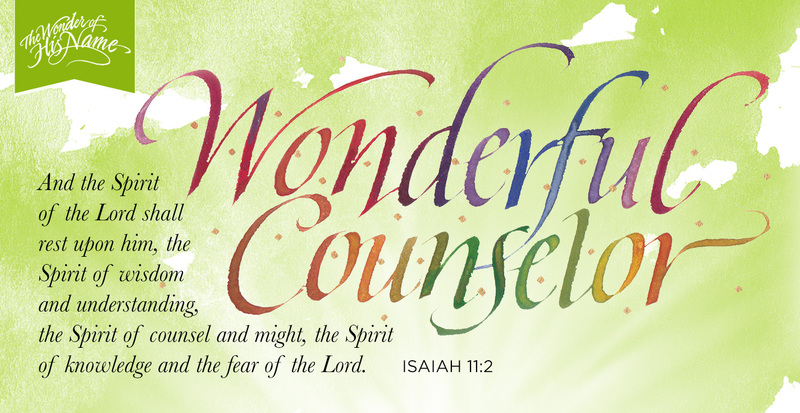 How can Jesus, an invisible presence, be a wonderful Counselor? Why is he called Prince of Peace and not King of Peace? What follows is a bit of research and reflection. 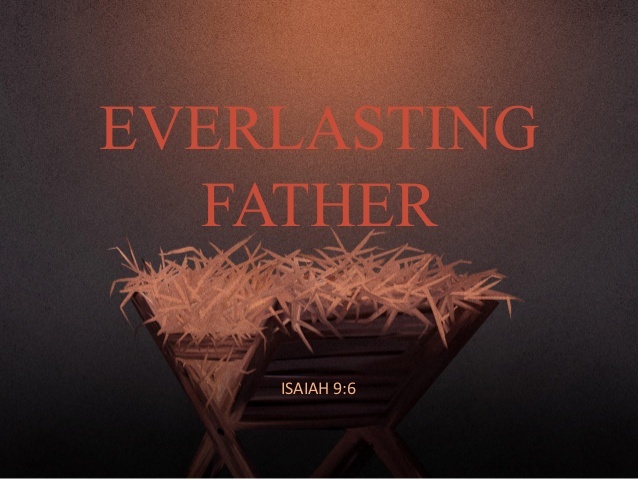 Isaiah was surely referring to the day when Jesus will reign as King of kings. But long ago I invited him to govern my life. Now someone much wiser and more powerful than I am is in charge of my days—such a great relief. Consider a man with deep hurts who visits a highly recommended counselor. The counselor allows him to pour out his heart, and with body language and facial expression demonstrates warmth and understanding. His gentle questions and brief but well-chosen advice encourage the patient so catharsis can take place. He guides the patient toward positive change. Jesus is our perfectly wonderful Counselor, able to provide the deepest catharsis and most positive change possible—through his Word, through prayer, and through the influence of others who believe him. He never leaves us to deal with our problems on our own—such a comfort. “He has established his throne in heaven; his kingdom rules over all” (Psalm 103:19) – even over my pint-sized concerns. He is great and powerful and glorious and victorious and majestic (1 Chronicles 29:11). What awe-inspiring descriptors for the ultimate One in authority over all! “From him and through him and to him are all things” (Romans 11:36). “He is filtering every aspect of your life and the things that concern you through his omnipotent fingers of love” (Kay Arthur). Such a sense of security. It sounds like a fairy tale—a great and powerful king of far-reaching lands takes in a dirty, insignificant pauper, adopts him into the royal family, and pronounces him a prince, with all the privileges of that station. But it’s not a fairy tale. 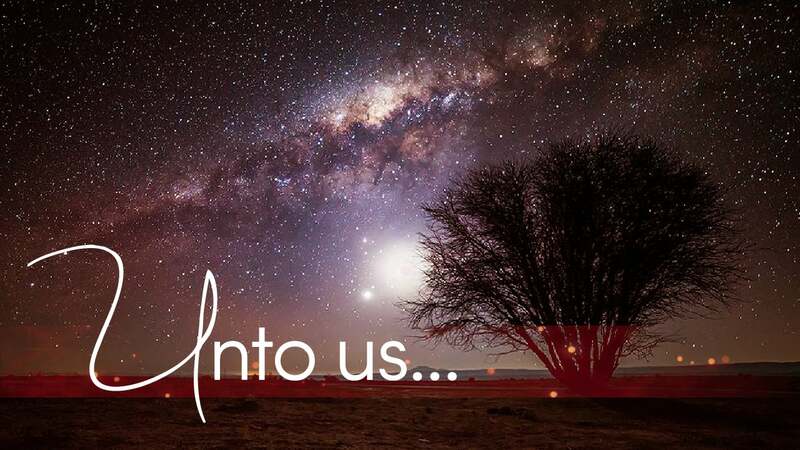 Our Father God adopts us into his family–not out of pity but because he loves us. And as a result, we enjoy incredible privileges, which will culminate in eternal life with him in heaven. Such joyful expectation. We long for peace on earth–the cessation of all war among nations, the end of animosity between races, cultures, and neighbors. We long for “peace to men on whom his favor rests,” as the angels proclaimed to the shepherds (Luke 12:14). But the Son of God, the Prince of Peace, offers a different kind of serenity—for now. “Jesus offers an inward quiet in spite of outward trials. Rough winds may ruffle the surface of a lake, but far down in its depth there is perfect calm” (Herbert Lockyer). Oh, but the day is coming when our Savior, Jesus, will be crowned King of kings and Lord of Lords. 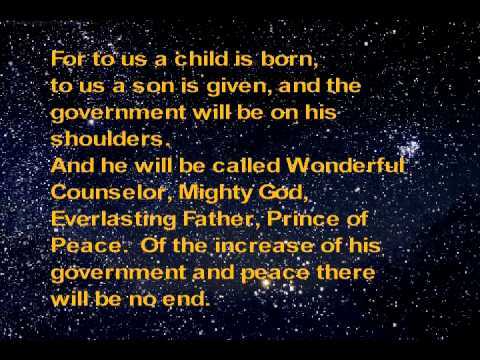 In complete wisdom and omnipotence he will reign as our everlasting Father, our Prince of peace forever. Such glorious anticipation. Each of these names proclaims a wonderful facet of your magnificence, Lord God. My spirit finds rest as I contemplate them one by one and embrace the truth that all this splendor is at work in the world and in me. All praise belongs to you, my sovereign and trustworthy Father. Is there one name that speaks to you particularly? Tell us about it in the comment section below. Nancy, I was taken with your phrase, “familiarity does not equate to complete understanding.” Just because we know ABOUT something doesn’t mean we KNOW it. When we’re called in Scripture to ‘know’ God, it is an intimate call, a lifelong endeavor. Amen, Jody! Thankfully, the delightful process of knowing God more and more intimately never ends until we arrive in heaven. How gracious he is to us! wow you opened my eyes to new meaning of these verses. Thank you. Happy weekend, Nancy! Thank you, Jean. Praise God for the new insights for both of us! I came across a saying this week: “Adoption is when a child grows in its mommy’s heart instead of her tummy.” It reminded me that I am God’s adopted child…which ties in with ‘Everlasting Father’. 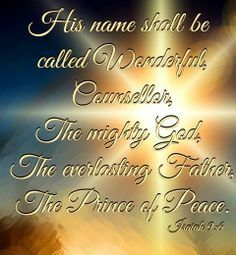 Another name that speaks to me is ‘Prince of Peace’. The Herbert Lockyer quote “Jesus offers an inward quiet in spite of outward trials. Rough winds may ruffle the surface of a lake, but far down in its depth there is perfect calm”. Love that…it soothes me just to read it. That quote about adoption is beautiful and so very true. God can manufacture parental love for a child in a matter of moments. Thank you for sharing that one, Cheri. And isn’t the Lockyer quote a wonderful example? It pictures perfectly how we can be buffeted by circumstances and problems, but our deep-down faith remains untouched. Praise God!